Anna University is a 40-year-old State University located in Chennai. It offers higher education to the students in Architecture, Engineering, Technology, and Applied Sciences field. The university was established by integrating four renowned technical institutions in then Madras namely College of Engineering (CEG), Madras Institute of Technology, Alagappa Institute of Technology (ACT), School of Architecture & Planning (SAP). 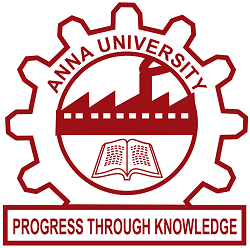 Apart from the above-mentioned 4 universities, currently, Anna University has 3 Regional Campuses, 13 Constituent Colleges, and 593 Affiliated Colleges (Government, Government Aided, and Self-Financing Colleges). The university offers 29 undergraduate and 57 postgraduate programmes in affiliated institutions. Candidates must have passed 10+2 with a minimum aggregate of 50% marks in Physics, Chemistry, and Mathematics. Candidates from Tamil Nadu who have cleared VIII, IX, X, XI and XII (8th - 12th) exams from the state are eligible for admission. Natives of Tamil Nadu who have cleared any of class VIII, IX, X, XI, and XII (8th - 12th) exams from a school located outside the state of Tamil Nadu are also eligible for admission, however, they need to submit Nativity Certificate. Wards of employees working under Central Government are also eligible for admission provided their parents are employed in Tamil Nadu for the last 5 years. Candidates who have cleared VIII to XII from the state of Tamil Nadu are eligible for admission and don’t need to provide Nativity Certificate. Children of All India Service Tamil Nadu cadre officers are also considered eligible for admission to Anna University. Wards of employees working under Public Sector or Government recognized Institutions for the last 5 years at the time of application are also eligible. AGE LIMIT: There is no age limit for seeking admission to Anna University except for candidates applying for Marine Engineering who must not be older than 25 years as on the last day of submission.